photovoltaic power station. So it needs special attention on the corrosion issue of ground screw post supports. As searched, to perform hot dipped galvanization treatment on the ground screw post supports body can effectively resist corrosion or rust. 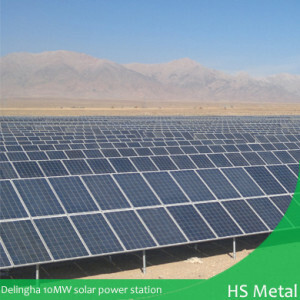 As shown in picture, Delingha 10MW solar power station use hot dip galvanized ground screw post supports, which effectively bear the structure and resist corrosion. According to different corrosion environment, there are atmosphere corrosion and soil corrosion. part which is screwed into the ground. 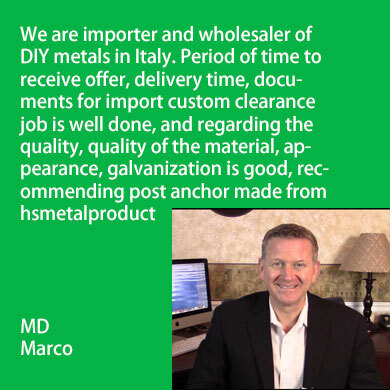 There are two types of corrosion – chemical corrosion and electrochemical corrosion. Electrochemical corrosion: it’s mainly about water and air. galvanization layer to be at least 70um. At our factory, we HDG at least 80um. In Inner Mongolia at the north of China, we pull out a ground screw post support whose body length is 1600mm. The part from sharp point to 1400mm was embedded into ground. Galvanization layer of thread part was broken in different degree, upper part of ground screw post supports was slightly harmed, but the whole ground screw was not corroded. before choosing ground screw foundations. The laying place should be far away from heavy pollutant or strong corrosion site. 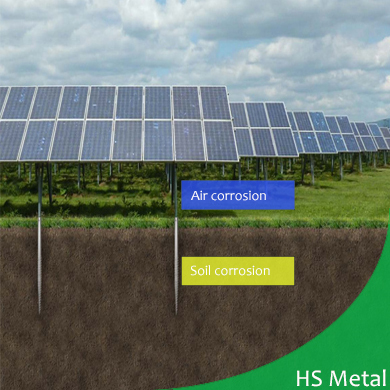 The anti-corrosion feature of ground screw plays an important role in the operation of solar power station. By hot dipped galvanization, it can be effectively protect it from corrosion.